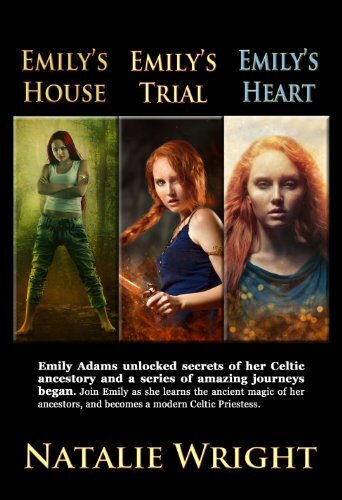 Two years ago, Emily journeyed to Ireland and became a modern Celtic Priestess. Emily was entrusted with the powerful magic of the ancient golden torc, forged by faerie hands and fused to her soul. Seventeen-year-old Emily Adams unintentionally unleashed a shadow god’s dark energy power into the world and started an Apocalypse. But Emily is also the only one that can end the dark god’s reign. Though the powerful faerie magic of the golden torc is still coiled around her arm, self-doubt threatens to undo her. Emily wants nothing more than to feel the soft kiss of her one true love, but he won’t even speak to her. Her first crush is still quite dead and her best friend remains a prisoner in the dark god’s house of nightmares. A growing legion of black-eyed shadow people, devoid of conscience, roam the streets. Emily needs help now more than ever, but redemption seems far off indeed as she faces the expanding darkness alone. Emily will need an army of her own if she is to save the world from being taken over by pure evil. But will a small band of Lucent geeks and freaks be enough to send the dark god packing? Amidst chaos and ruin, will love blossom in Emily’s Heart?